​Arsenal travel to Belarus to take on BATE Borisov in the first leg of a Europa League round of 32 clash at the Borisov Arena on Thursday. 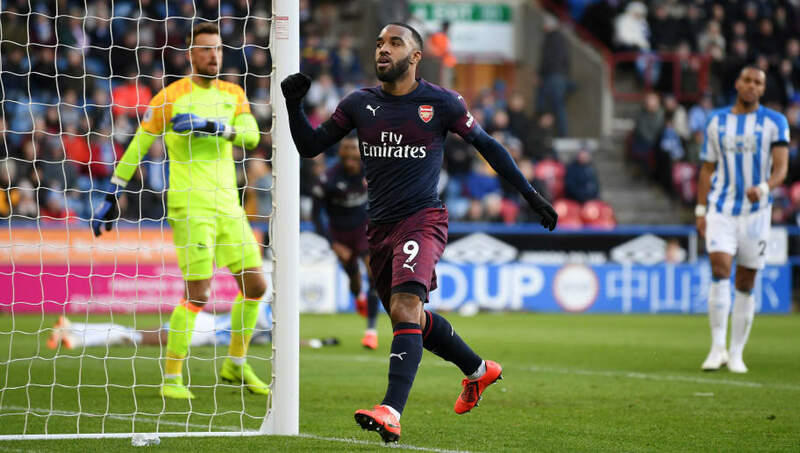 The Gunners returned to winning ways with a 2-1 victory away to Huddersfield in the Premier League on Saturday, ending a run of three consecutive away defeats in the league. A return to form on the road will send Unai Emery’s side to Belarus in good spirits. Saturday’s win kept ​Arsenal within just one point of the top four and potential Champions League qualification, though the Europa League presents another potential route to the same target. Emery is a specialist in the competition, having won the title on three consecutive seasons between 2013/14 and 2015/16 during his time with Sevilla. With the race for the top four in the Premier League proving to be a tough slog, the Spaniard may view the European route as a more viable path, adding to the importance of Thursday's clash for the Gunners. Arsenal have a growing injury list to contend with heading into Thursday’s match, after both ​Pierre-Emerick Aubameyang and ​Mesut Ozil missed out on Saturday’s trip to ​Huddersfield through illness; whilst ​Aaron Ramsey was also ruled out through a slight knee problem. Though Aubameyang and Ozil could return in time to face BATE, Ramsey will miss out, along with fellow midfielder Granit Xhaka who continues to recover from a groin injury. Meanwhile, defender Sokratis Papastathopoulos is not due to return to training until the end of February, whilst fellow defenders Hector Bellerin and ​Rob Holding are ruled out for the remainder of the season alongside forward Danny Welbeck. The two sides have met just twice previously, with both encounters coming in the Europa League group stage last season. Arsenal won on both occasions, with 2-4 victory away at the Borisov Arena in September 2017 continuing the Gunners’ strong start to their group campaign, courtesy of goals from Rob Holding, Olivier Giroud and a brace from Theo Walcott. Arsene Wenger’s side claimed a thumping 6-0 triumph in the second meeting at the Emirates in December. Goals from Mathieu Debuchy, Theo Walcott, Jack Wilshere, Olivier Giroud, Mohamed Elneny and a Denis Polyakov own goal handed the Gunners a resounding victory. With the Belarusian Premier League currently in its close-season, BATE have not been in league action since the end of last year. Alyaksey Baha’s side’s last outing was in the final game of their Europa League group stage in December, when BATE won 3-1 away to PAOK. Prior to that, the Belarusian side’s last league outing was in a 2-2 draw away to Torpedo-Belaz Zhodino. Arsenal have not kept a Premier League clean sheet away from home under Unai Emery. Meanwhile, Arsenal are in the midst of a far busier schedule. The Gunners bounced back to winning ways at the John Smith’s Stadium on Saturday with a 2-1 win over Huddersfield in the Premier League. That win followed a 3-1 humbling away to ​Manchester City the previous weekend. Recent home wins over Chelsea and Cardiff in the league have demonstrated the continued strength of Unai Emery’s side at the Emirates, though elimination from the FA Cup on home soil at the hands of Manchester United came as a blow to the Gunners’ quest for silverware. BATE will head into Thursday’s game much the fresher side, having not played a competitive game since early December. However, that lack of recent competition may cost them against an Arsenal side who are in the middle of their campaign and have been boosted by a recent victory. The Gunners’ quest to return to Champions League football arguably gives the Premier League side the greater motivation of the two sides as they return to Europa League action. The potential return to Europe’s elite competition would determine the success of Unai Emery’s first season in charge at the Emirates. Arsenal are contending with a number of injury problems as Thursday’s game approaches, but the Gunners should have more than enough quality at their disposal to earn a healthy first leg advantage in Borisov.